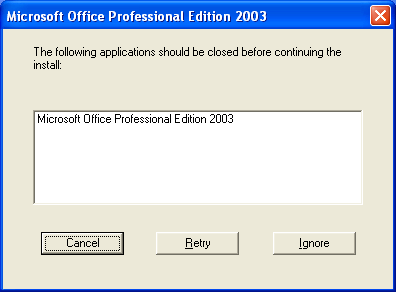 This error message appeared on me when I was trying to install a MS Office update. It was priceless! I was stuck in a loop and couldn't install the update.